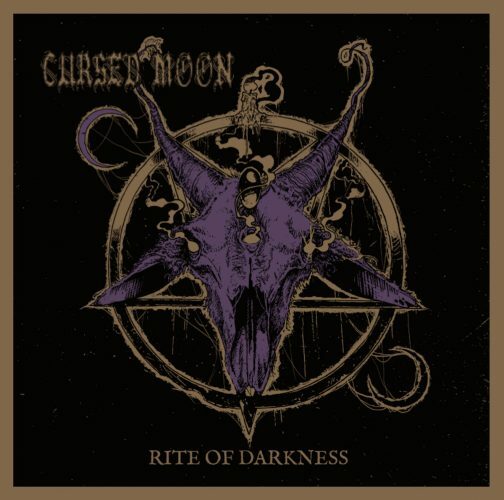 The first song I heard from Rite of Darkness, the debut album of Cursed Moon, was “Rise of the Antichrist“. When it began playing I thought I’d been transported back to the ’80s, when I listened (and danced) to my fair share of gothic new wave and post-punk. And then the vocals kicked in, and it became evident that an evil incursion had occurred in the dead of night. “Well, CURSED MOON started in 2015, when I began the writing process of it during late September. I was pretty much just jamming on my guitar while I was listening to The Sisters of Mercy and I thought to myself, ‘This would actually be fun to play.’ So, just for fun, I wrote one song and I was really impressed on how it came out, so then I wrote second song and I also liked it. If you missed “Rise of the Antichrist”, we’ve included the stream below, but today we’re also presenting another track from the album, “Creatures of the Night“. It’s a multifaceted track, or more like a potion brewed by witches and warlocks. It has the bouncing drum rhythms and pulsing bass lines of post-punk, the boiling vocal ferocity of black metal, and a shimmering keyboard ambience and hallucinatory guitar presence that convey the mysteries of some occult rite, and the gloomy swirling presence of phantasms. It’s very catchy, very sinister, and very addictive. The album will be released by Hells Hadbangers on October 27. It’s a 54-minute collection of 10 tracks, including “deathwaved” covers of songs by Oz, The Sisters of Mercy, and Skinny Puppy. The full track list and pre-order options are available at Bandcamp. 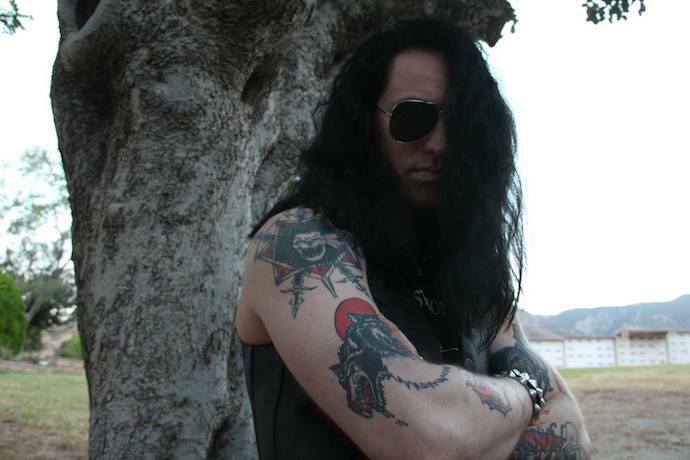 Although Cursed Moon began as a solo project, Sal Yanez is assembling a live line-up for stage shows. Hell yes, this thing is right up my alley, can’t wait for the album.